Online stores that are developed using WordPress, mostly use the plugin WooCommerce, which is the best and the most compatible for such purpose. More than 30% of E-Commerce websites today use WooCommerce (according to Wikipedia) due to its vast capability to develop a proper online shop. WooCommerce is quite great on its own, and with some additional benefits and features from great plugins or extensions, the experience can be even better. These extensions will enhance your chances to increase the number of sales you want to achieve. Marketing strategies are necessary, and this amazing plugin helps to improve your marketing plan with a few impressive features. Beeketing focuses on attracting prospects, that are visiting your site, to get the desire to purchase. It helps to connect with them to increase their interest in more products. Beeketing has an automated system that helps you to promote your products through bundle pop-ups and up-sells, discounts based on cart purchases, targeted discounts and personalized offers. You can make it suggest similar or relative products based on the prospect’s recent purchases or views, make recommendations for similar popular products and many more. Beeketing will also give you a bunch of marketing extensions for setting up sales funnel and enhance conversion rate without that much effort. The best part is, you can customize the built-in features according to your requirements and make it more compatible with your store. Not to mention, most of the features are available in the free version; however, you can get all the features on the premium version at little expense. 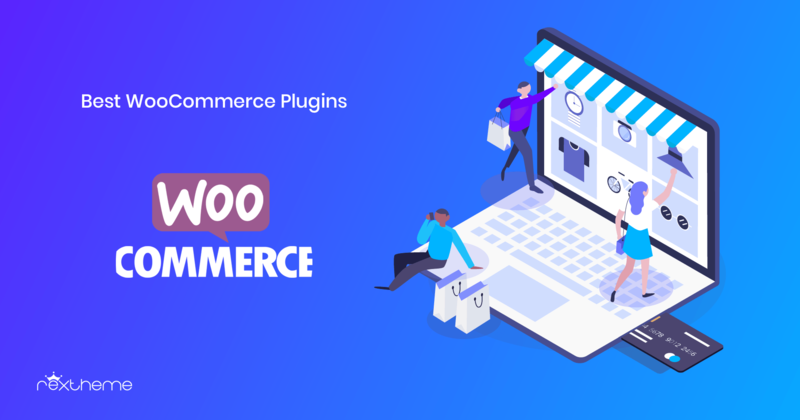 One of the most powerful WooCommerce plugins out there that can help you hook more and more potential customers and offer changes on the website that can make significant optimization, Booster for WooCommerce can add so many features to your WooCommerce site. This plugin can update pricing features with currency conversions and switcher, currency symbols, multiple pricing with and without discount, pricing formulae and formats and many more. You can add custom attributes to products, make changes to cart style, customize gateway features, e-mailing services, invoicing and many more using this plugin. A large number of WooCommerce users are using this plugin, and it can optimize your store to a great extent. Most WooCommerce store owners tend to sell their products on many renounced merchant stores as well (such as Google Merchant Shop, Amazon, eBay, etc.) to increase their sales. Exporting product data from your site or uploading your products in the other platforms can be quite a hassle. Hence you can use this simple plugin called WooCommerce Product Feed Manager (which is developed by us). This plugin is specialized in generating product feed that you can directly upload on other major platforms with no extra hassle. Which means, with a few clicks you can get all your product details ready to be uploaded into another platform, without having to manually input data. It allows you to choose specific products you want details for, with any common features you suggest. This plugin also allows dynamic attributes, product category mapping and supports Yith brand attributes. It has feed format created for 14 major merchant shops for which you can extract product feed. You can also add custom fields in case you need any. Compared to other such Woocommerce plugins, this plugin has a simpler and more user-friendly interface. A great plugin if you require product feed generation on a regular basis. You can test out the plugin on the free version, which allows you to generate feed for up to 50 products. If satisfied with its interface and the outcome, you can upgrade to it’s PRO version to get unlimited product feed generation. Sometimes when a prospect is at your site, a product may seem attractive which he/she can’t buy at the moment. So WooCoommerce Wishlist Plugin can offer a convenient solution. This plugin allows the potential customer to mark and save certain products into a list view them later directly. This plugin is easy to use and customize. It allows you to place an ‘Add to Wishlist’ button near your product or a wishlist icon anywhere on your site which people can click to save the product. The list page is well organized. Customers find it easy to browse through or remove products from the list. They can directly add a product to the cart from this list. This plugin also allows people to share the product on social platforms. It helps to create future sales potential and makes it easier for prospects to remember their choices for the future. People that enter your site may often prefer their native language on your site. It is more convenient for them since they can get a better understanding of what’s on the website. Hence, customers can take decisions without any doubts in their mind. WPML that provides a way so that you can allow multilingual service to your on your site, and is one of the most preferred WooCommerce plugins for such implementations. This plugin is very efficient. You can provide the translated version of your content, and this plugin will present them to the viewers in a suitable manner. People can easily find the option to switch between languages and find the website suitable for them to read in their native language. Apart from basic descriptions, this plugin automatically translates the builtin platforms in WooCommerce, with great accuracy. This is a premium plugin that is worth purchasing. Offering your products using the language, that prospects find more comfortable to browse through, creates greater possibilities for conversion. When searching for specific products or choosing among many products, it is quite a hassle to go to the details page of every product when willing to learn more about the product. To make it easier, Quick View WooCommerce offers a solution. This plugin creates a ‘Quick View’ button under every product on a certain page. If a person wishes to know details of a particular product while trying to make a choice, he can simply click on the ‘Quick View’ button, and an overlapping page will appear. This page will provide product details without having to switch to a new page. Once done viewing, prospects can just cross out the quick view page and continue browsing the product list page, without having to switch tabs at all. This makes it so much easier and faster for visitors, who will consider looking through more products while making a choice. This plugin can ensure that people will spend more time on the page and look into more products while making a choice. A great plugin to include to your site development. When a product has several variations, the default WooCommerce interface allows drop-down list for selecting variations. But this could be made more appealing by representing the variations with images, colors, and labels. Thus on of the simple but effective WooCommerce plugins, WooCommerce Variation Swatches does just that. This plugin turns the product variation select options fields into radio images, colors, and label. This lets customers to view the available variations directly and can take a more accurate decision. For example, if a t-shirt has color variations of red, blue and green, then the variation section will include minor images with the colors to indicate the available colors; the customer will know the exact colors that are available and will be able to select one just by clicking on it. Besides this, this plugin gives an added feature as well. In case you are using any ‘quick view’ plugin, WooCommerce Variation Swatches also views the various images within the quick view menu. Which means, people can know about the available variations just by looking in the quick view. A brilliant plugin to increase the conversion rate on potential customers. It is necessary for your consumers to easily products, that they may specifically desire, easily. Hence, a smart search engine is required to make it easier for potential customers to search for products. The plugin YITH WooCommerce Ajax Search is one of the best WooCommerce plugins to seve this purpose. This plugin makes the searching experience better. Any searches made, relevant search results for your WooCommerece store is instantly presented. It provides search suggestions on each letter typed, thus making it easier for a prospect to search. For stores that have a lot of products on different niches, this is a must-have plugin. People certainly won’t find it too attractive to browse through manually or to get irrelevant search results. Plus, since this search engine is largely specialized in relevant search, people find it easier to get exactly what they want. Its free features are more than enough to satisfy you, but there are other benefits in their premium version which you can check out. When people search for any products on your website, it is easier to search with filters applied. YITH WooCommerce Ajax Product Filter creates that interface on your site. This plugin comes with a widget that allows users to use 4 layouts of filters – color, label, list, and drop-down (on the free version). These features make it easier to find the product on your site. The premium version gets many more layouts of a filter and allows you to customize it according to your need. Almost all WooCommerce sites use the features you find in this plugin. This plugin is ideal to increase sales on online shops and other E-Commerce businesses. Whenever a person makes a purchase, you would obviously want an e-mail sent out to with all purchase details in an organized manner. This e-mail creates a great impression. Plus it’s a great way of sending added advertisement and suggestions to the customer. Decorator is one of the few WooCommerce plugins that makes it possible with precision. Though WooCommerce has a built-in service for e-mail purpose, it is not so organized and certainly not attractive. Hence, you can get this plugin to customize your e-mail service that can create a good impression to your customer. Customers will definitely find it more comfortable to make future purchases if you can create a good impression with your presentation. There are so many more WooCommerce plugins that you can use to extend your WooCommerce store. Btw, you can learn about other great plugins and apps that are pretty useful here. For now, you can consider trying out these WooCommerce plugins that I suggested. These will surely boost your shop for increased customer satisfaction and increased conversion. You can also check out these amazing themes that will help you boost your shop.